Unemployed slacker Fred (James Marsden) suddenly finds himself uncharacteristically busy after he runs over the Easter Bunny and has to not only nurse the gimpy rabbit back to health but also take over his duties so that the holiday can continue. Burdened with a cranky, cotton-tailed houseguest and a bout of intensive egg-delivery training, Fred finally begins to grow up in this hilarious and touching blend of live action and animation. Download Hop in Digital HD from the iTunes store. 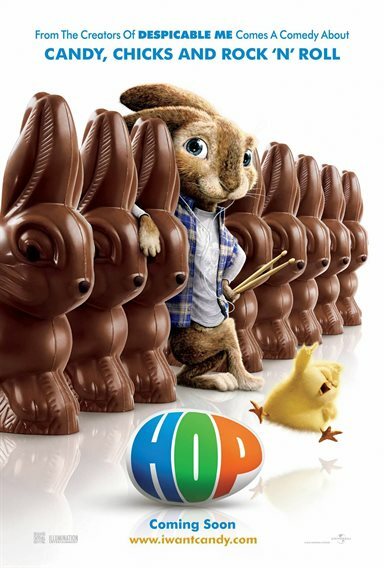 Hop images are © Universal Pictures. All Rights Reserved.